Here are a few of my favorites from NY and London -- Michael Kors and Tom Ford. 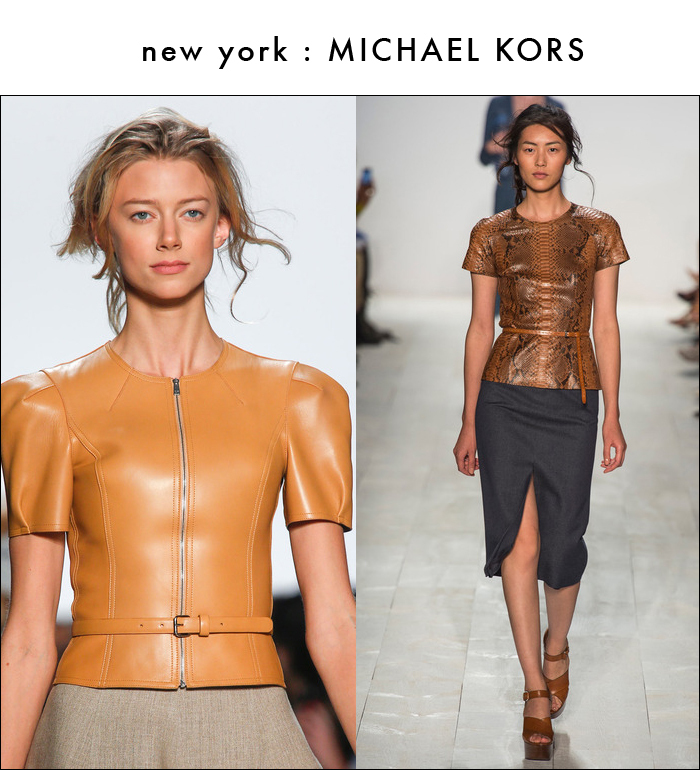 Michael Kors with references to the 40s and 70s, prairie influence, strong shouldered jackets, snake prints, and leather. Tom Ford with a powerful statement with strong shouldered jackets, leather chevron dresses and skirts, and thigh-high boots. It is seriously all about the leather pieces this year.